Just in time for Valentine’s Day, and during the time of year when we can use some extra beauty and grace in our lives, we present to you an exhibit of fans from the collections of Meredith Sweet, as well as some family valentines and items that were used by the genteel citizens of Rhode Island, such as calling cards. Fans were used as early as 4000 years ago in ancient Egypt, and Chinese ladies used fans 3000 years ago. 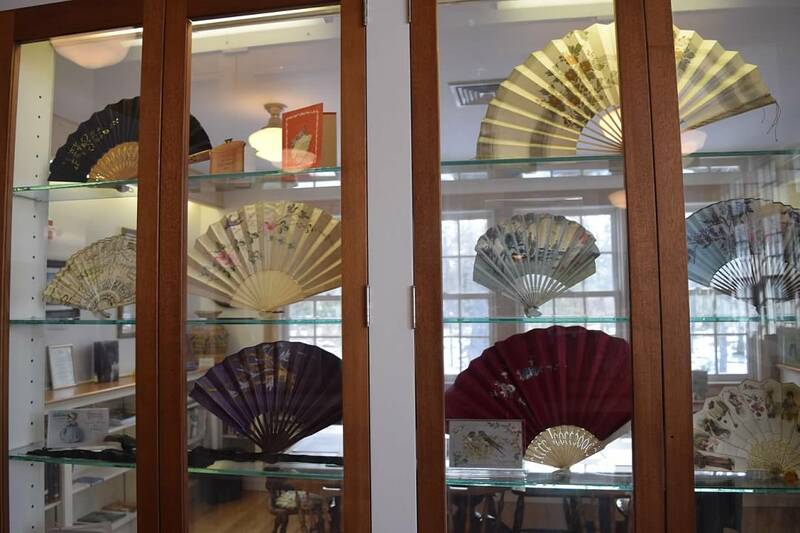 In the 17th century China was exporting fans to Europe, where the fans served many purposes, including offering “fan flirtation rules,” as a way of coping with the restricting social etiquette. For example, resting the fan on the right cheek meant “yes,” and resting it on the left cheek meant “no.” The fans in this collection are made of silk, cloth, and paper, and some have ivory handles and tassels. 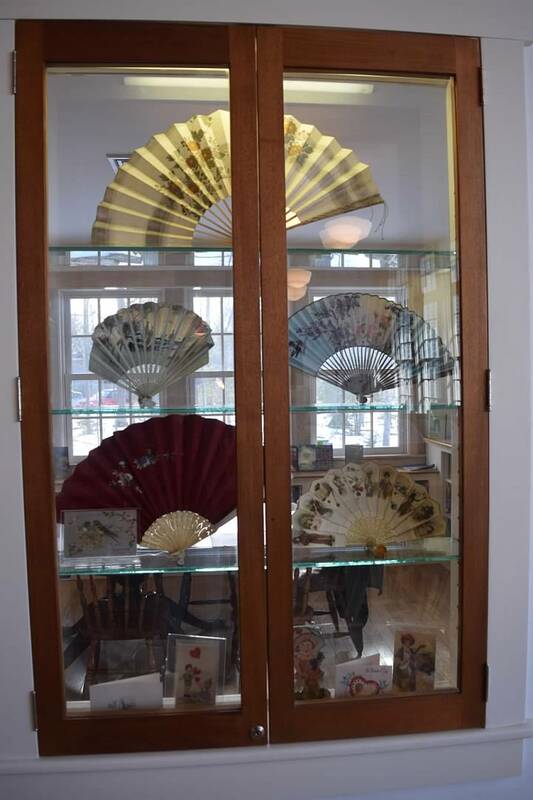 One fan is made in Japan, and another is an 1893 calendar fan. Floral designs can be seen, as well as an elegant black and gold fan. Finally, in the exhibit can be seen a pair of delicate black hand mitts, which allowed a woman to do handwork, as well as show off flashy rings. A calling card which belonged to “Mrs. William O. Dyer” is clasped in a metal hand clip – another way to showcase how polite society handled visitors in the 19th century.